Taking OC Transpo has certainly changed since I first moved here in 1980. Then I was greeted by buses with 3-4 stairs to get into the bus. This type of transportation no longer fits my needs, being a double amputee and confined to a wheelchair. I started to get around town by Para Transpo. Having to wait for hours to be picked up by Para I finally decided to take the regular bus. Even though at the time only 90 per cent of the bus fleet was accessible I took the dam bus. Now that the OC Transpo system is 100 per cent accessible, Para is a four letter word to me now. By entering the bus by a ramp at the front of the bus I gain access. I sit in one of the two seating areas at the front of the bus. Facing the rear of the bus I am grateful for the introduction of “next stop announcement”. I miss fewer of my stops now. The O-Train is a treat to take. Easy to get on. Spacious interiors. Most important: the ride is very smooth. Inclusion is the key word when it comes public transit in Ottawa. 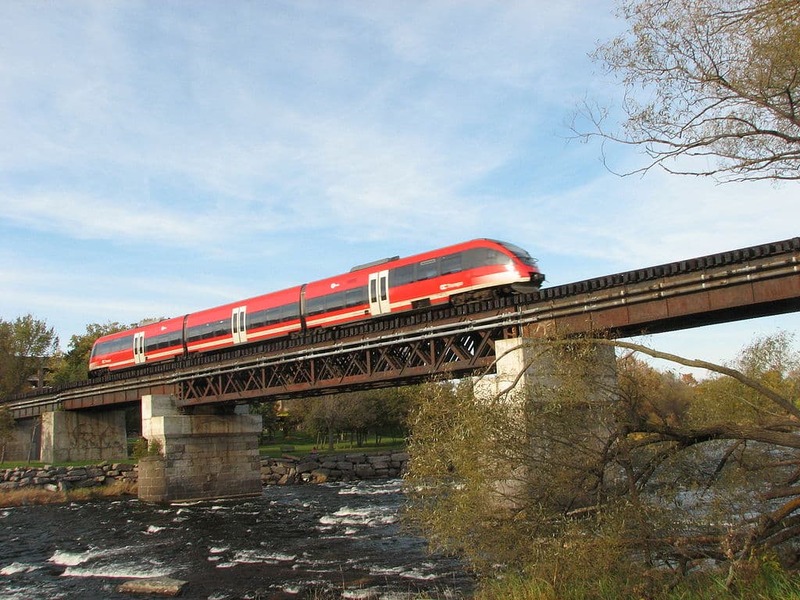 Ottawa had the foresight to build their transit accessible. This foresight has allowed me to get around the urban parts of the city. I am Chairperson of Walk Ottawa, a pedestrian advocacy group. We do community walk audits, we help The Council on Aging in Ottawa with their accessibility audits (safety , comfort, connectivity and accessibility) and any group advocating for better walkability. I am indebted to the forward-thinking of the OC Transpo and the City of Ottawa – their foresight has enabled me to continue my volunteer work. My volunteering keeps me busy, which I enjoy. It gets me out and about and I get to meet interesting people. I no longer sit in front of a TV all day. I have something to do now: Making Ottawa an inclusive city.